Yoga is a discipline that strengthens and benefits both the body and the mind, making use of resources such as meditation, concentration; Yoga is a Specific body postures and a discipline that has been practiced for millennia in India. Burning calories, gaining a strong body with increased flexibility, increased tone and muscle strength, maintaining a balance metabolism evidence healthy skin and calm the mind are some of the major goals that everybody plans to achieve at various stages of the life. Yoga has become one of the sports fashions in recent years. At present, millions of people practice this discipline practically every day; Performing exercises of this type report numerous benefits to our health, both physically and mentally. In recent decades, the number of people practicing yoga has increased exponentially, especially in the West. All this, added to the techniques of breathing and meditation, will help you improve your immune system (the body’s natural defence against infections), remembering that behind this discipline there is a whole philosophy that says that any restlessness of the mind can be manifest in a disease on a physical level. When seeking union and balance between body, mind, and breathing. It is evident that when one is in harmony, the way of life becomes easier to travel, one is happy and one fully enjoys oneself. Physical health and fitness: A healthy and fit body can’t just be achieved just by getting in a great shape, but rather it is achieved with a mentally and emotionally balanced life. According to a report of WHO. 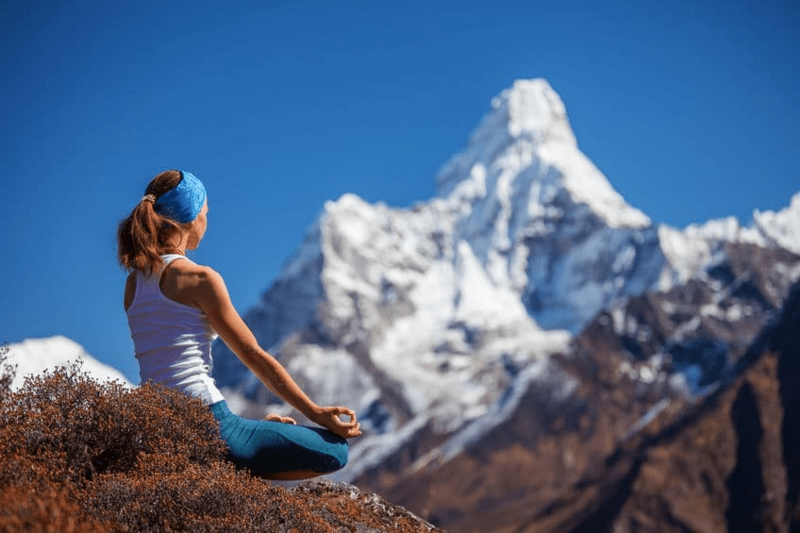 This is where the benefits of yoga essentially fall, performing asanas, pranayamas (breathing techniques) and meditation. Losing weight: Greeting the sun “Surya Namaskar” and Abdominal breathing “Kapalbhati Pranayama” are some of the important yoga techniques that help in losing extra weight. In addition continuous practice of yoga turned people to opt for better lifestyle and have nutritional food stuffs, which in turn help to lose weight. In fact, postures and Pranayama are effective techniques for releasing stress, which often manifests as contractures in the neck, back, and joints. However, they seldom realize that true peace is found within, silencing the whirlwind of thought and living in the present moment. In fact, after a series of bodily postures, the mind is calmer and more prepared for meditation. An irregularity in the physical level affects the mental plane. In addition, breathing techniques and Pranayama help to release stress, resulting in an improvement in the immune system, scientifically proven. Living with greater awareness: the mind is constantly involved in various activities and thoughts, which oscillate between the past and the future; only a few moments he manages to remain in the only moment that exists: the present. And yoga and pranayamas, through conscious breathing, help to bring the mind to the present moment, which brings a greater state of alertness and concentration. Better relationships: it is surprising, but yoga can even contribute to improving the relationship with the social environment, be it a couple, parents or friends. A relaxed and happy mind is able to deal with sensitivity and sensitivity daily relationships. In addition, a practitioner’s energy and positivity can infect nearby people. Increased energy: moving from one task to another or having several simultaneous activities can be exhausting. But unlike what many might think, a few minutes of stretching the body and relaxing the mind allow you to regain freshness and shine, even after a day of hard work. Sometimes, fatigue occurs on the mental plane, so yoga helps restore the lost energy. In addition to improving the posture of those who have back problems, yoga stretches the tones and strengthens the muscles of the body. It is a state that occurs naturally after an uninterrupted practice, fundamental for decision making and the handling of every day and transcendental situations. Accelerates the mind: when we practice yoga, we fight against stress, thanks to the state of relaxation and tranquillity that we develop. Concentration: Asanas help us deepen and extend concentration, memory, and attention. Body and mind: We develop in an integral and progressive way the mind and the body, strengthening the self-esteem. The sense of well-being: while practicing yoga, we experience a sense of well-being and pleasure due to the release of endorphins. Self-awareness: we develop the necessary skills to understand the functioning of our mind through the observation of the activity of our own body and breathing. While daily practice provides incalculable benefits, it is important to learn and practice the techniques under the supervision of a yoga instructor. If you are about to lose control, yoga is your solution because it is a source of benefits for your health; reduces stress, controls anxiety, stimulates energy, strengthens the immune system, eliminates toxins, tones muscles, relieves pain and increases confidence and understanding. Yoga plays a fundamental role in the field of physical and mental health. Many of its techniques are very effective in the prevention of arthritis, osteoarthritis, myocardium, low back pain and anxiety, among others. With the mental and emotional balance that you achieve thanks to yoga, you will be ready to show a good physical condition: you will have more energy during your workday, more resistance and you will breathe better. Then, a mental recreation to explore its interior is not superfluous. Our system is a perfect combination of body, mind, and spirit. Yoga helps to keep our mind cool. Finally, feeling good in both body and mind, you will face life in an optimistic way. The peace, happiness, and sensitivity that you achieve after practicing yoga will help you to relate better with your partner, family, and friends. Remember, yoga is a continuous process. So keep practicing at Nepal Yoga Trek. The deeper your yoga practice, the greater the benefits. While daily practice gives immeasurable advantages, this does not mean that yoga can be considered as a substitute for traditional medicine. It is important to learn and practice the techniques under the supervision of a Yoga teacher.